My daughter loves her unicorn. A while ago, my oldest daughter Sophia (2) got given a beautiful, big unicorn teddy that can cleverly be worn. As expected, the newly arrived toy got a lot of attention and love. But as most of Sophia’s presents, the love started rapidly to fade away and a week later the unicorn ,baptized Pony-corn, was forgotten inside a wardrobe with all the other “ no so new anymore” toys. 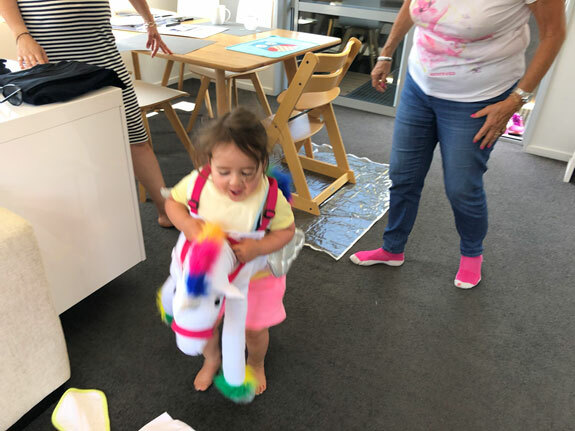 Recently, nearly 6 months after Pony-corn’s arrival, Sophia got given a very clever personalized book about a unicorn, where the main character, in this case Sophia, and her horse find a badly hurt unicorn in the woods. Sophia was very struck by the story, specially the Unicorn’s hurt leg and particularly the blood coming out of the unicorn’s white leg. It seems like many kids find blood fascinating. 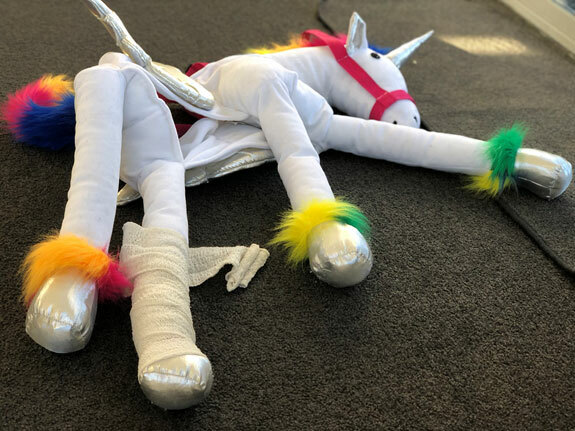 In the book the main character takes her hoodie off, tears it apart and use it as a bandage to stop the unicorn’s bleeding. This story has brought her old unicorn friend back out from the dark closet and soon became Sophia’s best friend again. But of course, Sophia now wants a hoodie like the one she wears in her book. However, in the meantime, Sophia has cleverly managed to substitute the hoodie bandage with daddies sweaty football ankle bandage brace. Pretty disgusting but effective. 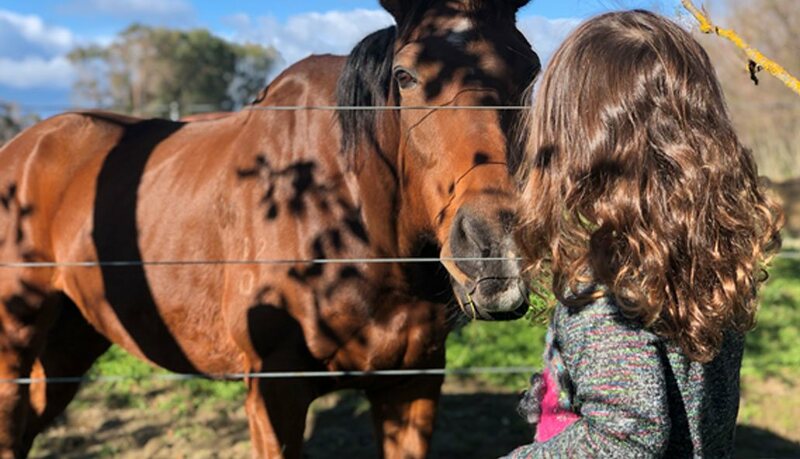 My Secret Unicorn personalised book has trigger in Sophia a total love for horses. 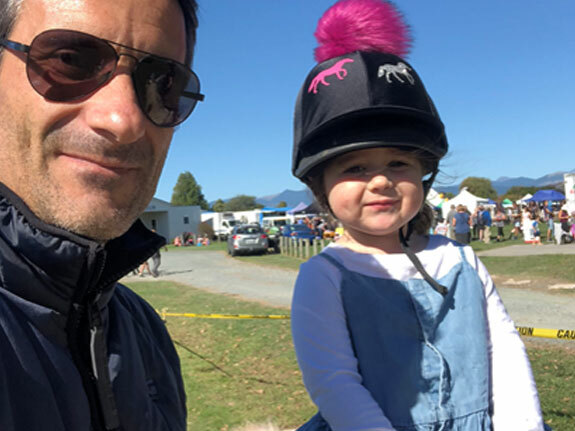 From regular horse riding (well pony riding) to having a real horse as best friend and bringing him carrots day after day.